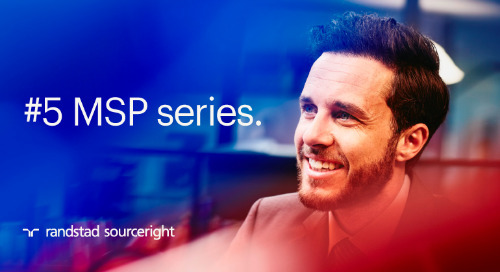 Home » managed services programs (MSP) » should I insource or outsource recruitment? Talent scarcity, demand for digital skills, a focus on freelancers and independent talent, and an always-growing HR technology landscape are adding complexity to the way companies source and hire people. Many human capital leaders find themselves facing a very familiar question: should we use internal resources to deliver talent, or do we outsource to an expert in the field? If your business is struggling to access the talent it needs to meet business goals, it’s natural to consider getting help. 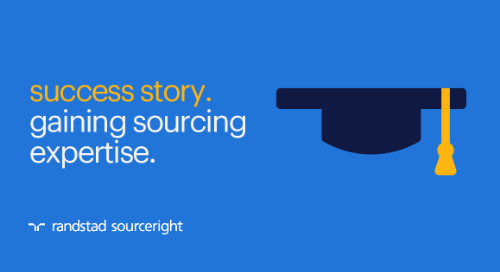 Whether to outsource or insource recruitment is hardly a new question. But with the skills gap and talent shortages that persist in today’s tight labor market, you may want to consider the answer in different ways than in the past. Add in the fact that technological innovation is also dramatically changing the equation, and your view of the right solution can become less clear. Considering these dynamic times, what are the factors you should keep in mind when deciding whether to insource or outsource? In your organization, unique challenges will likely require that you examine how effective your talent function is and whether it is sustainable for your company’s long-term growth plans. If your company has expanded into new businesses, markets or geographies, it may also be time to reconsider whether your current delivery process fits your needs. > what is recruitment process outsourcing? Because so many industries are still undergoing digital transformation, talent needs and the ability to fulfill resourcing mandates have changed. For example, you may find yourself now competing for new families of skills that were previously not a core part of your workforce. You or your talent provider may be entering unfamiliar territory as you now source for Ruby developers, analytics engineers and other digital specialists. As a result, the internal or external recruiting competencies may be stretched to find talent as quickly as the business needs it. At the same time, talent acquisition itself is undergoing significant changes. Technology is advancing sourcing and screening. Innovations are enhancing candidate engagement, and the role of the recruiter is quickly evolving into that of a strategic talent advisor. Companies that have made investments in HR technologies are now trying to determine how those can be balanced with the human touch to provide a competitive recruiting advantage in the war for talent. And those who have not are seeking ways to stay current with today’s innovation. Finally, the world of work is rapidly evolving as the human cloud and independent contractors account for a greater portion of the global workforce. 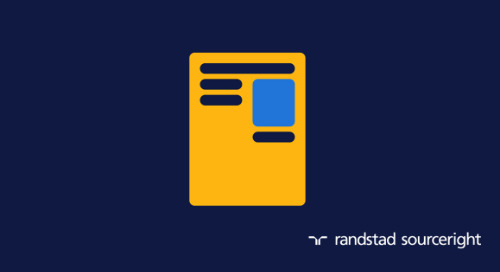 According to our 2018 Talent Trends research, 1 in 4 surveyed employers say they are shifting more permanent roles to contingent this year. While this strategy can help your company stay agile and flexible, different types of work arrangements also mean greater complexity. And greater complexity will require more of your attention. In fact, the amount of time that contingent workforce managers spend administering their programs is rising, according to Staffing Industry Analysts. All of these forces are converging to change how employers consider their human capital strategies, and whether it makes more sense to insource or outsource. Technology investments, growing lines of business and the evolving world of work are all resetting the value equation for both approaches. And one or more of these factors may have a stronger influence than others on your organization’s decision. > what are managed services programs? control. Some companies adopt a strict policy on the control of their talent acquisition functions — whether for permanent or contingent workers. Others may adopt a different view; because talent is a critical function, the company needs best practices and processes that can only come from an external partner specializing in recruitment. value. Does your internal team have the talent acquisition expertise you need, or will you need to make significant investments to bring those skills on? Does building a robust internal talent function add value, or does it take away resources and distract from operational excellence? What more could your HR or procurement department do by diverting recruitment resources to o ther functions? These are often asked questions that you should consider when assessing the value of each strategy. stakeholder alignment. For any solution to be effective, you’ll need to achieve stakeholder alignment, whether that’s agreement between talent acquisition leaders and hiring managers, or with an external partner. This is achieved by a clear understanding of the benefits and requirements of either choice. Without it, any solution is doomed for failure. vision. 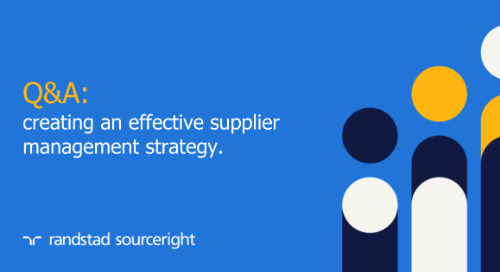 Whichever insource or outsource strategy you choose, you’ll need to ensure your model can adapt and scale to changing business needs. Whether a program can flex up or down, adopt continuous improvements or evolve with the business is a critical factor for making the correct choice for both the near- and long-term. should we outsource recruitment? key factors. 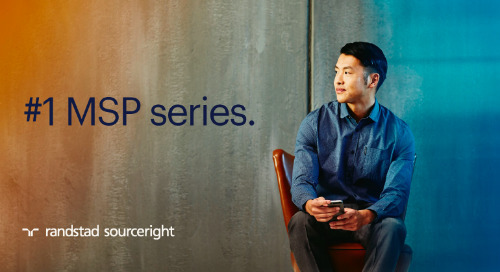 Once you get past these broader questions regarding vision, culture and value, examining a number of practical issues will help determine whether outsourcing is right for you. Specifically, key factors include cost effectiveness, access to talent, process efficiency and technology readiness. All of these considerations will help you to determine whether you should invest in internal talent acquisition capabilities or seek the support of an external partner to fulfill your human capital needs. Cost is always one of the most important factors for determining whether an internal or external model is right for you, but it’s easy to overlook some of the indirect costs. These can be significant, depending on your processes, infrastructure and how your company is organized. Are you a highly centralized business or do business units and regional operations work autonomously? Do HR and procurement functions play an important and strategic role in fulfilling requisitions or are they more administrative in nature? 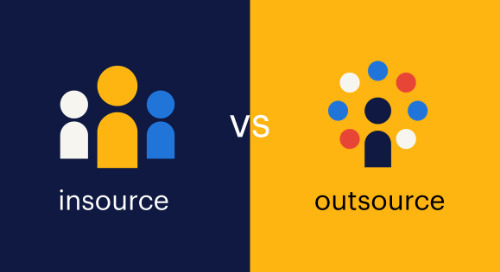 Every business is unique when it comes to determining cost factors, but some critical considerations should be factored into every decision regarding outsourcing. Let’s look at some of these. The cost to your internal staff is seemingly straightforward because you can easily account for headcount associated with talent acquisition activities. You may fail, however, to attribute some indirect costs incurred by functions such as IT, legal and others that spend time on recruitment activities. Don’t forget that hiring managers may also dedicate hours unnecessarily in the hiring process because they are performing tasks outside of their competencies. Training costs related to talent acquisition may be incurred across a number of functions as well. As mentioned earlier, SIA’s survey shows that managers are spending more of their time tending to their contingent workforce responsibilities, which means companies are investing in more internal resources to acquire flexible talent. Growing concerns about compliance in many markets have led companies to increase staff overseeing regulatory and legal matters involving independent contractors and freelancers. The growth of the human cloud and other nontraditional work arrangements is also impacting internal IT staff as they are asked to support new technology platforms and tools. Similarly, the tight labor market around the world has led to stronger demand for recruitment skills and the use of agencies to find permanent talent — driving up the cost per hire significantly in many organizations. For example, according to the Society for Human Resource Management (SHRM) 2017 Talent Acquisition Benchmarking Report, the average U.S. cost per hire in 2016 was $4,425, up from $4,129 the year before, indicating a sharp increase. As talent scarcity and the skills gap continue to grow, these figures will likely rise, especially because recruiting skills are in high demand. How does an external solution compare with an internal approach? One obvious difference is that internal staffing costs are minimized. A managed services program (MSP) or a recruitment process outsourcing (RPO) solution are designed to scale according to business needs. When hiring volume rises — for employees, contingent talent or both — organizations can maintain their existing talent acquisition or procurement teams because the service provider takes on the additional work of sourcing, screening and other related activities. Recruiters and talent suppliers are managed by the outsourced partner, so the employer has no need to add to its talent acquisition headcount. When you work with a talent solution partner, the service provider is responsible for the training and upskilling. For instance, when new technology is implemented to facilitate recruitment activities, an RPO partner will provide guidance and instructions to its recruiters and sometimes those of clients. This not only reduces your costs but also downtime when internal recruiters have to be sequestered for training. Most importantly, an RPO or MSP provider enjoys economies of scale when it comes to staff costs. By leveraging shared services, the provider maximizes its team resources across its entire portfolio. It also means it can immediately direct those resources to where the need is most urgent. There are many additional ancillary costs associated with an internal talent acquisition function, and these are rising quickly due to talent scarcity. Recruitment marketing budgets can account for a large portion of cost per hire. Advertising on job boards, social media management, career portal maintenance, assessment testing, background checks, offer letter drafting, onboarding are all costs you should tally to gain a comprehensive snapshot of your hiring costs. 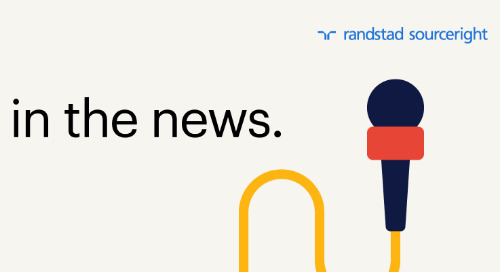 As competition for talent rises, more employers will be forced to invest in their employer brand strategies and candidate experience or risk losing good candidates to competitors. With an external solution, many of these costs are covered under the outsourced contract. In fact, some service providers are able to leverage their technology investments to automate some tasks that you might perform manually. Acquiring these technologies yourself may be economically prohibitive, but because a provider can spread out the cost across a large group of clients, its investments are much more cost effective. More than ever, HR technology is transforming how companies engage and acquire talent. Automation and AI are reshaping the role of recruiters and empowering employers through better business insights and actionable analytics. Never have HR and procurement been given more tools in such a rapid-fire procession. While the good news is companies have more assistance, they also face an overwhelming range of choices. 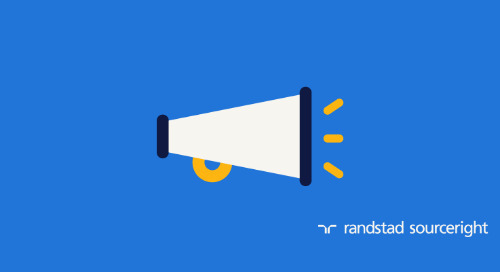 Randstad Sourceright’s 2018 Talent Trends research found that 68% of human capital and C-suite leaders say technology has made recruiting simpler and more efficient. At the same time, 47% also say digital transformation is moving too fast, and they are struggling to keep up with the changes. This dilemma is challenging for talent acquisition leaders because they are expected to be technology experts and help decide on investments to keep their organizations ahead of competitors in the war for talent. To do so, they can either bring expertise into their organization, hire consultants on an ongoing basis or, as many companies are discovering, let their RPO or MSP service provider offer guidance. The first two approaches can be costly and time consuming, as building internal expertise or relying on outside consultants requires significant investments. Additionally, neither can operationally test new technology and establish a proof of concept without risk. Because external service providers constantly assess new technologies and use them to conduct pilot programs, they have deep expertise on the latest innovation and how to apply them to your organization. 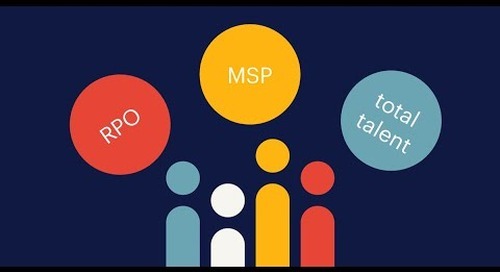 RPO and MSP partners can bring an entire technology stack designed to be integrated into your existing infrastructure and optimized to accelerate hiring results. The tools they offer are proven to be effective and suitable to minimize risks to your organization. Typically, the technologies are bundled with a solution so there are no additional costs involved. And because providers are motivated to constantly enhance talent acquisition outcomes and process efficiency, you are assured of a continuous path toward innovation. One of the biggest challenges for employers in today’s labor market is securing access to talent. Developing a robust pipeline has always been a priority for talent leaders. In recent years, however, that task has become more difficult due to demand for new skill sets, the growth of global markets and the acceleration of digitalization. Add in the fact that the freelance economy has led many workers to embrace alternative work arrangements, and it’s easy to see why companies are struggling to keep up with their need for skills. An internal approach requires extensive resources to effectively attract, source and curate talent. Recruiting internal and external candidates for permanent positions means employers need a broad market understanding of the skills they seek and what motivates candidates to join or stay with an employer. To ensure talent remains interested, organizations need to constantly engage candidates with content and a value proposition that resonate. Only with this kind of expertise and hard work can an organization achieve the robust access to critical talent. For contingent workforce leaders, the complexities of internally managing numerous suppliers can be daunting, especially when operating within a decentralized environment, where rogue spend and vendor vetting is undisciplined. Every hiring manager wants unfettered access to talent, but without a robust process in place, that access can come at a price in unregulated spend and greater risk. HR leaders face similar challenges when seeking access to a strong pipeline of candidates for permanent roles. Building a thriving talent community from which to draw requires a long period of time and significant work. To successfully recruit for different skills, seniority levels and locations, strong local expertise and industry knowledge are essential. And when companies add new businesses, they need to reacquire that knowledge for those new lines of business. Regardless if your business recruits for permanent or contingent talent, investments in technology are needed to maintain engagement. An external solution can mitigate such needs because service providers will build and manage the talent supply chain and communities to ensure a robust pipeline. They have extensive technology investments and may offer a robust analytics platform for clearer insights into availability of skill sets. 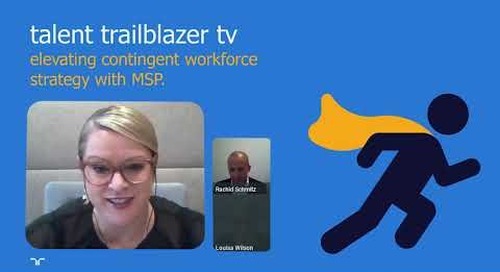 For contingent workforce needs, MSPs offer access to a wide range of work arrangements including statement of work (SOW), payrolled, independents, staffing and even automation. RPOs can support demand for permanent, graduates, trainees and others. One of the most challenging issues facing talent organizations is ensuring their talent acquisition processes are effective and efficient. This means continually monitoring and benchmarking a variety of outcomes and includes big picture considerations, such as cost per hire, to more revealing data, such as hiring manager satisfaction, employee retention rates and job tenure. But when something is not working, how can an internal recruitment function reverse its pain points? Does it know how to identify the issues affecting recruitment or requisition fulfillment? And is there budget to remedy the gaps? Instilling best practices across an internal talent acquisition function further requires expertise and investments. For instance, training recruiters in the most effective sourcing methodologies is an ongoing activity requiring both expertise and investments. Similarly, developing a robust supply chain strategy means more than just rationalization of suppliers. Contingent workforce leaders need to understand what’s happening in today’s marketplace and how to leverage these trends to their advantage. And as AI and automation transform most businesses around the world, can an internal team continually assess the potential of innovation to assist its workforce and better fulfill business mandates? These are all critical questions that an insourcing approach needs to answer. External service providers must answer the same questions, but this is part of their fundamental business strategy. That means you can expect continuous investments to deliver escalating value around supply chain management, recruitment best practices, regulatory compliance, application of technology and business insights. 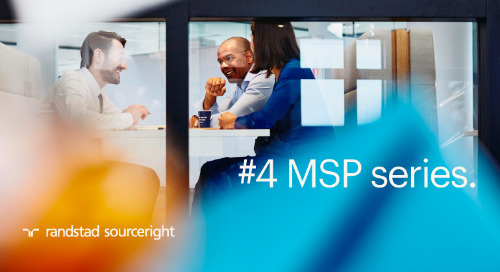 Ensuring clients achieve ever-increasing efficiencies and outcomes is a priority for most MSP and RPO providers, at least for those who have longevity in the marketplace. 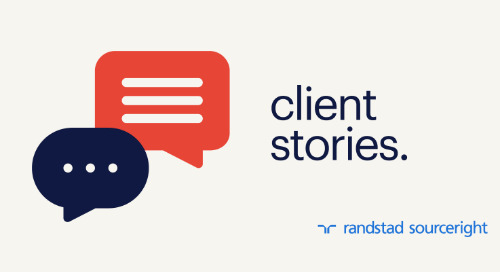 Because these investments are amortized across its entire portfolio, the outsourced partner can hone processes much more cost effectively than an internal function. Many of the methodologies and processes implemented by a service provider are proven to be effective through piloting and implementation at numerous companies. Not only do providers have the benefit of working with businesses in different industries, sizes, cultures and geographic locations, but they also know what works best for the maturity of the client’s workforce. Employers by themselves simply can’t achieve this breadth of experimentation. 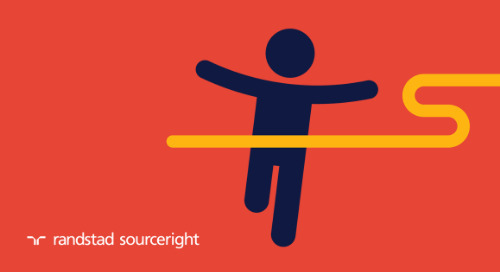 4 questions that will uncover whether you should outsource talent acquisition. 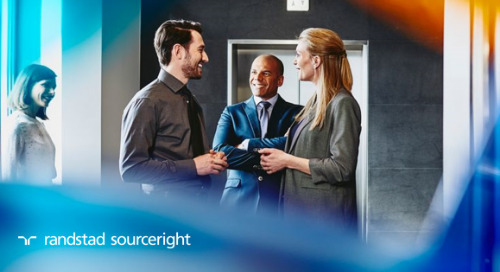 As your organization considers whether to insource or outsource talent acquisition, these four fundamental questions will help you make a better decision for the long term. Is your organizational culture opposed to external expertise to manage talent acquisition? Do you have the time and resources needed to drive continuous improvement and world-class best practices throughout your talent acquisition function? Do you have adequate budget to create a robust internal function? Does your technology infrastructure give you the insights and support needed to drive the best talent outcomes? There may be additional important considerations for your business, of course. 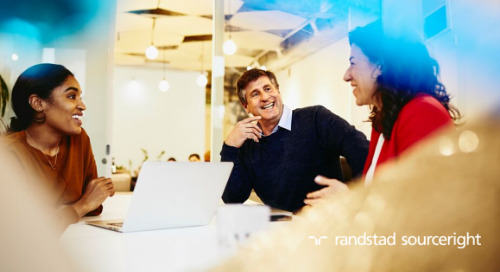 But if you answer “no” to any of these questions, think about how an outsourced solution can help you better deliver quality talent to keep your business ahead of the competition. 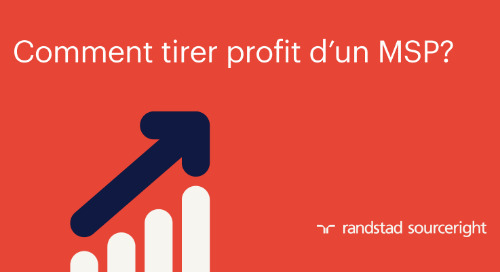 There’s a lot to consider when determining how much an RPO or MSP can save your company. These business calculators will walk you through the steps to determine just how big an impact an outsourced solution can make.